“Your child has cancer.” Can you imagine? In February 2015, my friend Katey received the news that her 18 month old boy Finlay had stage 4 hepatoblastoma. Finlay and his family have been on such a heart wrenching journey the past few months, but they have been so brave throughout it all. Today Finlay had an 8-hour surgery at the Westmead Children’s Hospital in Sydney, and I’m soooo happy to share the good results. 1. Send cards and messages filled with support and love. 2. Drop off meals and/or create a meal roster for the family. 3. Offer your services, such as photography, cleaning, and babysitting for older siblings. 4. Give thoughtful gifts and care packages. Sheila from Pennies of Time has some great ideas about creating Chemo Kits for Kids. 5. Donate towards the enormous expenses that the family will no doubt face – you can even set a personal fundraising goal and be creative about how to achieve it. 6. Get the local school involved in raising awareness and funds. 7. Ask local businesses to get involved, too. 8. Find ways to make traveling for treatment and accommodation during recovery time more comfortable. 9. Send your prayers, positive vibes, and well wishes. It may not seem like much, but it makes a difference. 10. And last, but not least, raise awareness. How can you help Finlay? You can donate to the Finlay’s family’s GoFundMe page. 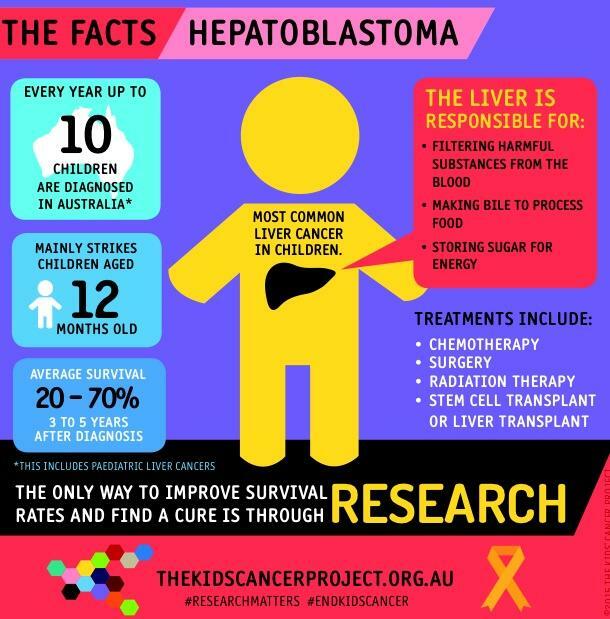 Let’s help them have one less thing to worry about while their little boy is ill.
You can donate to Childhood Cancer Research via The Kid’s Cancer Project, to give Finlay and other children who are diagnosed with cancer a better chance of winning the battle. 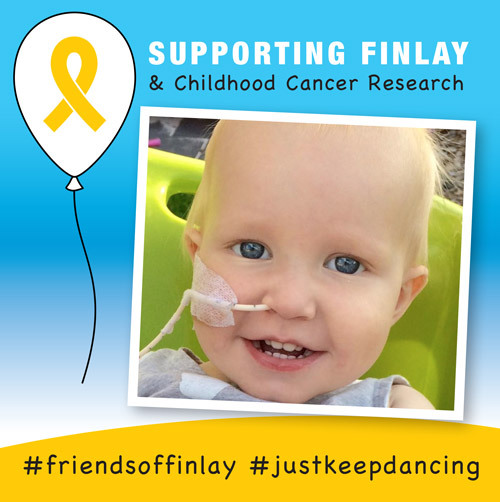 You can follow Finlay’s story on his facebook page Friends of Finlay and share Finlay’s story. It is his family’s wish that more people know about what he is facing so that awareness can be increased, funding can be increased and a cure for cancer can be found. 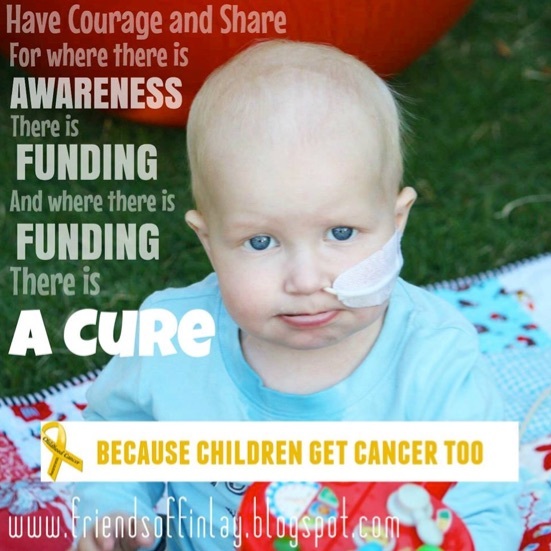 Do you know someone facing childhood cancer? I always feel so helpless when things like this happen, so it’s great to have a list of things I know I can do that will actually help! 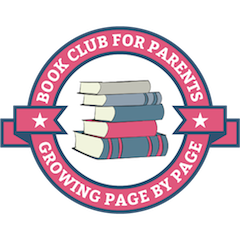 What a sweet list you have created – I love that you took the time to write this post!